Translators and interpreters make intercultural communication possible through language, sharing ideas and concepts with people throughout the world. It is important that they understand the substance of translated material, use up-to-date software and platforms, and keep an eye on new tendencies in the industry. The ProZ.com training platform helps beginning and experienced professionals alike to develop their skills and reach new levels in their careers. Sessions are offered one-on-one, live, or on-demand for greater flexibility in delivering content to translators, interpreters and language professionals. ProZ.com trainers are experienced freelancers and outstanding members of the ProZ.com community who have decided to share their knowledge and expertise with their colleagues through the site’s training platform. More than 30,000 site users have participated in training sessions proposed through the ProZ.com training area. One of the most beloved training formats – webinars – are always of interest to translators as they allow site users to communicate with the trainer directly and get answers to their questions live. Webinar attendees also enjoy unlimited access to the video recording of the session as well as any course materials. Participants are awarded certificates of attendance after these sessions, some of which can be verified as credentials at ProZ.com. Another great source of knowledge for translators and interpreters are tutorials on ProZ.com, as well as videos recorded during the site’s free webinar weeks. You only need an Internet connection and a headset/speakers to attend, and videos, can be watched in your free time and at your own pace. Over the past few years, trainers from 45 countries have generously shared their knowledge and expertise through ProZ.com’s training platform, on topics ranging from business skills and marketing to software and translation tools, services and specialization, project management, industry trends, and more. Among these trainers are experienced and well-known conference speakers; experts in medical, legal, technical, literary, and environmental fields; experienced marketing specialists; and technology aficionados. Despite their varying backgrounds and specialties, these trainers all share a passion for the translation profession, endless curiosity, readiness to take a risk with a new service, and a willingness to share what they have learned with their colleagues. Becoming a ProZ.com professional trainer requires no previous knowledge or experience with e-learning technologies, and the course creation process offers helpful tips and comprehensive guidelines on how to create an effective promotional page for a new training. The new year has come bringing a lot to the translation industry. Let’s learn together about new tendencies and tips for translators through training at ProZ.com. On May 21 it was announced that the platform developed for Translators without Borders was made available to ProZ.com corporate members. This note will describe briefly the road traveled since then, and another one, to be released in the next few days, will focus on the path ahead. Several translation companies have adopted it for the management of their translation operation and they have posted a total of almost half a million words during November and almost as much during the first two weeks of December. The corporate members using the translation center for the management of their operation are the ones guiding the evolution of the platform by means of their requests, suggestions and patterns of use. To them goes our gratitude. Since in the TWB operation most jobs are created by administrators and the clients themselves (the humanitarian organizations), adapting to the commercial operation required a significant redesign of the project manager and client roles. PMs don’t have the universal access enjoyed by administrators, but they can create work orders and access and manage the work orders and jobs they create. They can also be invited to jobs created by other PMs or administrators. The companies managing instances of the translation center have ample control of their operation. In particular, clients are usually excluded from commercial instances (you can even prevent translators from knowing the client name), but you can optionally give some client representatives limited access to the platform, to oversee work order status and download files without getting any access to translators. You can now organize your translators in teams, creating as many teams as you want, and assign members of your pool to act as translators and/or job managers in the team. You can also manually assign each task to a member of the selected team. You can associate every job with all eligible translators (for instance all translators in the appropriate language pair) or with the members of a team. You can also add more translators on the “manage invitations” page by typing their names or email addresses. You can also label as junior some translators, who will not be automatically included in the pool to be invited to jobs.This makes it possible to have non-preferred translators who may be useful if none of your primary translators are available. It is also possible to keep new translators in this level and have their work reviewed by senior ones, until the point when you trust them enough to move them to the senior level. It is now possible to select among a variety of task typed for each task of your jobs, such as translation, review, editing, post-editing and QA. Multistage (translation, editing, QA) jobs into several target languages is also supported. It is also possible so select both source and target languages not currently supported by translators in the system, and then invite service providers working in these language pairs. Flexibility was also provided for the management of files, enabling the upload of files or the instructions for reaching files in another platform, both for source, target and reference files. This lets you create and assign a project while waiting for the final source files as well as respect client restrictions regarding the management of their files, and it is also appropriate for creating a work order from a mobile device with bandwidth or file handling limitations. When an instance of the translation center is created for your company, you can personalize it by uploading your company’s logo and name, as well as the support email address. You can also customize the format of the order numbers entered for your work order. At the bottom of all translation center pages you will find a couple of links about Privacy and Security respectively. Click on any of them to learn more about these issues and contact ProZ.com if you need additional information. A landing page including videos has been released with the purpose of explaining it operation to potential users, including outsourcers and translators. Also, a support page was created, including FAQs and detailed operational procedures. Nancy’s e-book won this year’s award for best translation-related book. As promised, I’m happy to present the first installment of our guest blog post series featuring recipients of this year’s ProZ.com community choice awards. First up is Nancy Matis, who won the award for best translation-related book for her e-book entitled How to manage your Translation Projects. The print version, available in French, can be purchased here. Nancy has been involved in the translation industry for about 20 years, working as a translator, reviser, technical specialist, project manager and teacher, among other roles. She currently manages her own translation company based in Belgium and teaches translation project management at four universities. She has conducted seminars at numerous universities on this subject across Europe, and has also been involved in designing and evaluating training materials for future translators and project managers. In this guest post, Nancy discusses some techniques she uses in teaching translation project management to her students, and explains why this is a useful skill for project managers and translators alike. Teaching Translation Project Management (TPM) is really thrilling. One of the aspects I most enjoy is that the majority of my students are highly interested in this topic. The challenge lies in the breadth of the subject and the wide variety of translation requests it encompasses. Every project is different, every company (whether an end client or a translation agency) has its own management methods, and every project participant has their own concerns depending on the role they play. The way I approach TPM with MA students is to describe the theoretical life cycle of a translation project, and in-between, to add as many counter examples as I can. The goal is not to teach them just one way of managing their projects, but to open their minds to this vast area while pushing them to know how to adapt to any situation, as project managers or translators, and as employees or freelancers. TPM is not only useful for future project managers. All participants in a translation project have to manage their own tasks. That’s why it’s essential to include concepts that apply to all of them and to target explanations at specific job profiles. complexity. From there, we explore how translation companies establish their rates and how these future professionals can define their own and present them in a customised price grid. We talk about prices based on estimated costs and briefly introduce the notion of gross margin. Afterwards, we check in detail how to set up rates based on expected productivity. At this stage, we discuss profitability, which gives us the chance to think about what is and is not acceptable. Depending on how much time I have with the class, we can then go as far as drawing up tables with multiple productivity metrics, several expected hourly (or daily) fees and the resulting word rates. We can do this for translation alone, deciding whether to integrate the use of CAT tools (or even machine translation) or not, or we can include other linguistic steps in the calculation, such as revision and LQA (linguistic quality assurance). Sometimes, we repeat the process for some technical tasks, for example DTP (desktop publishing), focusing on rates for units such as pages and illustrations. We can also end the topic by discussing when we should apply extra charges and increase unit rates, or even debating whether the price reductions some clients require are legitimate. Make the students understand how rates are set up in translation companies. Prepare them to fix rates as freelancers (even when subcontracting to others). Enable them to decide if they can accept the rates imposed by some clients or translation agencies. During the course, I teach most of the other TPM topics (project analysis, quotation, scheduling, launching, monitoring, closing, etc.) in the same way, i.e. from various perspectives to ensure I cover as many roles in as many project types as possible. I don’t generally limit myself to successful cases since, whenever possible, I share my experience of some project failures too so we can analyse how these situations could have been avoided. This helps students become aware of the importance of risk management. Examining a range of cases is certainly the most enriching side of teaching project management. As I work in parallel on new projects in my other day job, I can constantly update the examples and exercises I give my students. That’s why the Translation Project Management programme is constantly evolving. Thanks for sharing this post with us, Nancy! Stay tuned for upcoming guest blog posts featuring winners of the 2015 ProZ.com community choice awards. Feedback on this blog post and suggestions for future posts can be made below or tweeted to @ProZcom. keep an online record of agreements you entered into to prevent potential disputes –or solve them quickly– or to simply use them as reference. You can check this new tool by clicking on “ProZ.com service agreements” above or by mousing over the site’s “Tool” menu tab and clicking on “Service agreements”. More information is also available in the FAQs section. Hope you find this tool useful and that it helps you to improve the way you work. Feedback below is welcome. In the days following the Haiti earthquake of 2010, we at ProZ.com, together with many others in the industry, tried to help in any way we could. The Paris-based organization Translators without Borders had been overwhelmed by an unprecedented number of volunteers (many of them ProZ.com members). TwB requested that we create something to help them process applications. In response we built a screening tool, and it proved useful enough that TwB decided to standardize on it. That screening center helped right away, but it began to be clear that the manual approach to project management that the organization had been using (i.e. email) was going to limit its ability to scale. We were asked (and inspired!) to do more to streamline operations. One-by-one, in response to requests from Translators without Borders, we added features that enabled them to automate all aspects of their processes: translator sourcing, client communications, and so on were improved. Now, five years later, the platform that we built — what Translators without Borders calls their “Translation Center” — is somewhat mature. A single Translators without Borders project manager can now handle about ten times as much work as was possible before. While the objectives of Translators without Borders may differ in some ways from those of translation companies, operational procedures may in some cases be quite similar. Basically, like TwB, a translation company receives work from clients, passes that work along to translators or translator teams, they do the job, and the work gets delivered. There is some form of quality control and ideally, feedback, and the various parties — clients, project managers and translators — are able to communicate as necessary and appropriate at each stage of the workflow. Given that, it occurred to use that the translation center platform might be useful to others. Since we built the translation center from scratch for Translators without Borders, and now we have it, we are able to allow others to use it. Given that it is fairly mature, we felt we would be able to do that without incurring a great deal of additional expense. We decided to make the platform available to corporate members of ProZ.com at no charge. A key concern in the design was that, even though the translation center was powered by ProZ.com, Translators without Borders is the real force behind the whole operation and the organization’s identity had to be carefully preserved. To this end, a “white label” philosophy was followed in the design of the platform in such a way that all players or visitors to any instance of the translation center will see the name, logo and colors of the organization managing it, thus preserving their corporate image. White labeling means that the whole operation will be perceived by all actors as an integral part of the managing organization. The managing organization will invite their trusted translators to the translation center, where individual information can be stored on language pairs, fields of expertise, rates and any other data, in the form of administrative messages. Files can be attached to such messages (for example a signed NDA). Messages can be exchanged with the translator through the platform, and they will be stored and associated with the translator’s profile, thus avoiding the hassle of sending and tracking emails. The translation center can support the operation with in-house or freelance translators, or with a mixture of both categories. Average and detailed feedback for each translator is visible to the administrators, and a notification is sent to the support email each time a feedback is posted in any of the two lower levels above. A work order (W.O.) is the common section, including source and reference files, deadline, field of expertise required, notes and special instructions, etc. A job is the application of a work order to a defined target language, so a W.O. can include several jobs into different target languages. A task is an individual file offered to the volunteers for translation. A job can include several tasks, both independently added by the client and as the result of the splitting by the PM of larger source files. Jobs can be posted directly by clients, as is the case with Translators without Borders. This could be useful also for large agencies that need a way of effectively handling many small document that can’t be refused because they come from large clients, but that are processed at a loss because of the heavy overhead of their complex workflow. An agency will most probably have their own PMs posting jobs on behalf of clients. Client identity and associated documents will still be present in the translation center, but the isolation between clients and translators will be preserved. A project manager from the translation company will post a work order with at least one job. Reference files such as glossaries, translation memories or style guides can be added as reference to a job, or to all jobs of a given client. Release of notifications to translators can be automatic, or manually handled by the PM. With automatic operation the notifications are sent out in batches, inviting translators to a job posting page, where they can evaluate the tasks offered and eventually accept one or more of them. The first notified translator who accepts a task will receive the assignment. Once all tasks have been accepted or manually assigned by the PM, a job is no longer available to other interested translators. In a job page the translators with tasks assigned, the PM and the client (if given access to the page) will be able to communicate and to exchange files. All information stored in a single page, no need to send emails or keep track of files. Translators will upload their translations to the same job page. Once all tasks in a job have been delivered, the job is complete and deliverables can be downloaded by the client or by a PM acting on their behalf. Editing tasks can be added in the same page once the translations have been delivered, and they are assigned and delivered just like a translation task. Automatic notifications are sent to the translator and the PM when a task is behind schedule. PMs are also notified when a task has not been accepted 48 hours after being offered to translators. If you routinely outsource translation work, we invite you to experiment with this platform, and to use it within your company if it suits your business. If after trying it out you find you have questions or feature requests, we would be happy to hear from you. You can contact me at enrique at proz dot com. In this guest post, ProZ.com professional trainer Tess Whitty shares some advice on how to create a marketing plan for your freelance translation business. You are a freelance translator looking to grow your business and find those ideal clients that you enjoy working with. In order to do that we need to have some sort of a plan, a marketing plan. In my experience there is no need to create a lengthy business plan (that will just end up in a drawer and never be put into action). Therefore, I recommend working smarter (not harder) and pulling from a variety of other tools such as mind-maps and whiteboards to create your plan. If your translation business is already up and running, the idea of adding more to your to-do list can easily feel overwhelming. As business owners, particularly when we are a one-person office, it’s easy to get buried beneath the day-to-day tasks of servicing clients and completing projects. I often hear translators say that it’s hard to find the time and energy to focus on implementing marketing tools. I know it’s hard, I have been there. Now, because your time is scarce and precious, it is critical that you use it wisely. How are we going to ensure you get stuff done? Easy! We are going to create a list of marketing activities that will benefit your business. That way, every time your marketing appointment rolls around, you will know exactly what you need to tackle that day. How many new clients or projects do you want and in how much time? How much more do you want to earn? Where will you find your new clients? 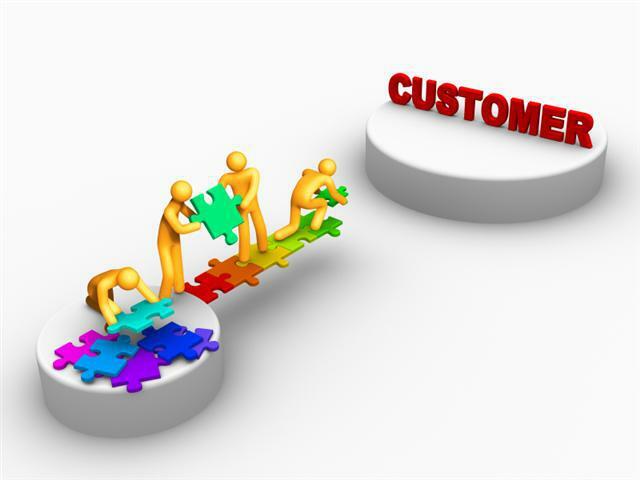 How will you market and provide service to your existing clients? Can you offer additional services to your existing clients? Based on these answers, you can make a master list of marketing actions that you need to take in order to grow your business. This master list should contain every task – big and small – that you need to execute. Then, prioritize all the actions you need to take and estimate approximately how much time you need to spend on each one. Finally, plug them into a calendar of activities you can do every week and every month. If a certain action requires long-term effort, break the task into milestones and mark the milestones on your calendar as well. Be realistic with yourself and be careful not to try to do everything all at once. Remember that professional chefs don’t run around the kitchen and throw everything into the oven at the same time. Instead, they recognize that every task requires a different temperature and cook time. They plan their tasks strategically and never take on too much at once. Follow up with yourself regularly to see what is working and what you need to change – perhaps you tried to tackle too much or too little, perhaps you noticed that your priorities were out of order. Don’t be afraid to make adjustments to the calendar, and remember that it exists for your benefit. After a year it will be fun to look back at just how much your business, income and client list have changed over the course of only 12 months. This post is a short excerpt from Tess’s new book, “The Marketing Cookbook for Translators – For a Successful Freelance Career and Lifestyle,” now available in the ProZ.com books section: http://www.proz.com/books/95/The-Marketing-Cookbook-For-Translators.